Intrusion detection is an important research direction in the field of power monitoring network security. The increase of data volume and the diversification of intrusion modes make the traditional detection methods unable to meet the requirements of the current network environment. The emergence of convolutional neural network provides a new way to solve this dilemma. 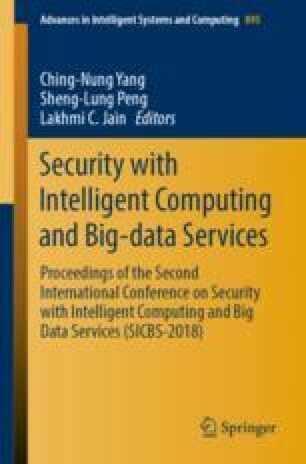 An intrusion detection model based on convolutional neural network is proposed in this paper. The method that converts the flow data into an image is used to represent the flow data in the form of a grayscale image, and use the texture representation in the image to classify the intrusion modes. Through the conversion of traffic data to images, the intrusion detection problem is transformed into image recognition problem, which substitute convolutional neural network technology into the intrusion detection problem. Firstly, the intrusion data set KDD 99 is preprocessed, and generate a two-dimensional image matrix group that meets the requirements. Then, the appropriate model structure for training is selected through comparison experiments. Finally, comparing the trained model with the other machine learning methods is to verify the model about reliability and effectiveness.